visited each city and presents it in its true flavour. The guides are bulky and costly too. 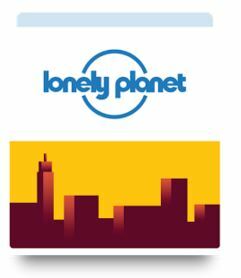 Now with this new app – Guides by Lonely Planet – you get the city guides for free – yes you read it right – FREE. Each city guide gives you details of what you can see (with friendly maps and directions and wonderful pics), where and what you can eat, where you can stay, shop, drink and play! You can save each city for offline use and pull it out when you are there. Currently, they have about 20 cities listed and more are being added continuously. With real life experiences and essential tips, Guides by Lonely Planet are a boon to first time travellers to any city – a must have when you travel to an unknown place.